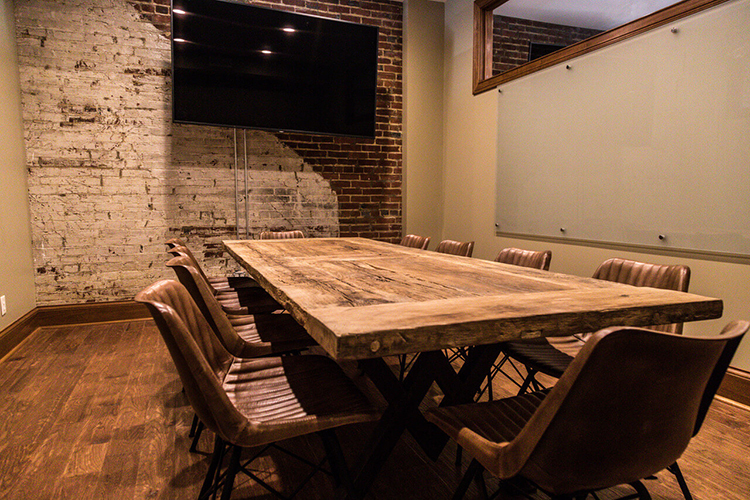 The New Albany, IN, location includes multiple professional conference rooms with amenities for attorneys to use for depositions, mediations, and other meetings. It is conveniently located within a half mile off of I-64 in New Albany, right across the Ohio River from Louisville, KY. Founded over 20 years ago, Coulter Reporting LLC, has become one of the largest court reporting firms serving the state of Kentucky and Southern Indiana. During that time, Coulter Reporting has become known for reliability, highly skilled court reporters and videographers, complex litigation, excellence service, and being one of the most technologically advanced court reporting firms in the region. Positive reviews from Coulter Reporting LLC clients attest to their high level of service. Eric Kiser stated, "Coulter Reporting has always provided outstanding service and customer support for all of our firm's deposition and trial prep needs. I always receive accurate deposition transcripts quickly and efficiently. Highly recommend Coulter Reporting to anyone needing court reporter services." Margaret Ivie stated, "I have always been impressed with the services offered by Coulter Reporting. I can always count on them to be there for me, even on very short notice." Coulter Reporting LLC, court reporters have been certified and are experienced in covering all types of legal proceedings, including medical malpractice, asbestos litigation, products liability litigation, and more. Their court reporters have been providing court reporting and litigation support services throughout Kentucky, Indiana, and across the nation. To schedule a deposition or find out more information about Coulter Reporting LLC, visit http://www.coulterreporting.com/ or call (812) 542-5160.